Yeah, but: It's been fixed, both generally and specifically. 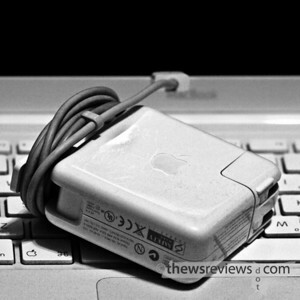 The Long Version: The MagSafe power adapter than Apple introduced with its MacBooks is a really clever piece of design. I've seen plenty of power adapters for different brands of laptops, all the way back to the IBM laptops with the 1' power cable that left the adapter dangling off of the floor. At one point that was considered a design innovation. Apple's design added a couple of interesting features. One is the fold-out prongs that give a convenient place to wrap the power cable that runs between the adapter and the laptop. The other is the interchangeable plugs that let the proud owner switch between a simple flip-out plug and a longer AC power cord. (And probably lets Apple's contract manufacturers localize the power adapter for different markets very cheaply.) Flexible, convenient, and a very clever idea. Apple then went one step further by switching from a ho-hum physically-plug-it-in connection to a nifty magnetic attachment that would save the laptop from plunging to the floor by disconnecting if it was given a hard tug. The problem is always in the details. 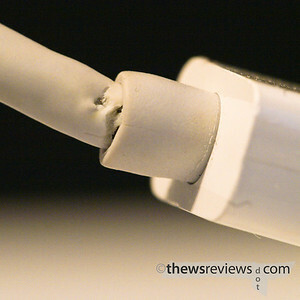 The first generation of Magnetic Safety connections - MagSafe for short - has a design flaw that eventually leads to frayed wires and lost power. First the 'charge' light stops coming on, then the connection gets intermittent, and will eventually fail altogether. The links describing the fault are here (apple) and here (critique site). The good news is that getting a replacement for my seriously-out-of-warranty power adapter was as easy as the Apple tech article describes, without the "only if you live in the US: if you need a replacement somewhere else you'll have to pay for it (if you can find it)" FUD from the other site. The afflicted machines are: the MacBook Pro (17-inch), MacBook Pro (15-inch Glossy), MacBook Pro (original), MacBook (13-inch), MacBook (13-inch Late 2006). The new adapter has a slightly longer and tapered strain-relief collar that looks like it will solve the problem, and the lack of new computers on the list is reassuring. On the other hand, this isn't the first time I've had an Apple product taken down by a common manufacturing defect, it's just the first time Apple's fixed it. I guess A/C adapters are cheaper than dissatisfied customers.